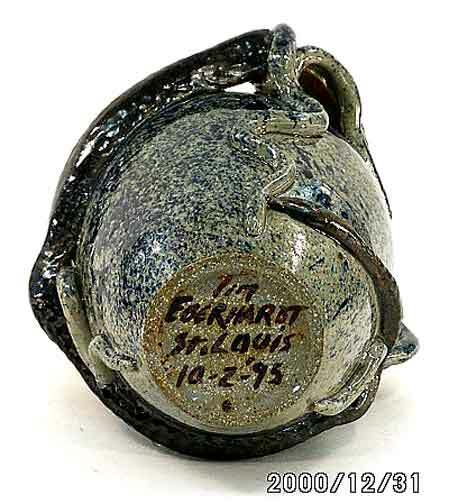 This pot was inspired by the pots made by the Kirkpatrick brothers in Anna, Illinois around the Civil War and just after. There's a story that comes with my snake pots. If you notice, the snake is stuck on the handle of the pot. It is bunched up on one side of the handle and s t r e t c h e d on the other side. 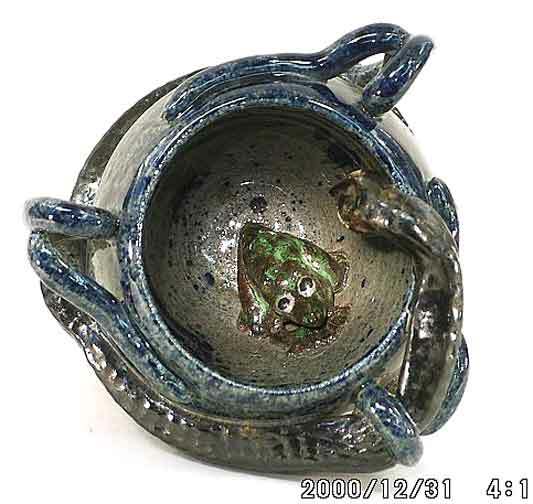 Can't squeeze through to get the frog in the bottom of the pot. The pot stands between life and death. At least for potters it does.